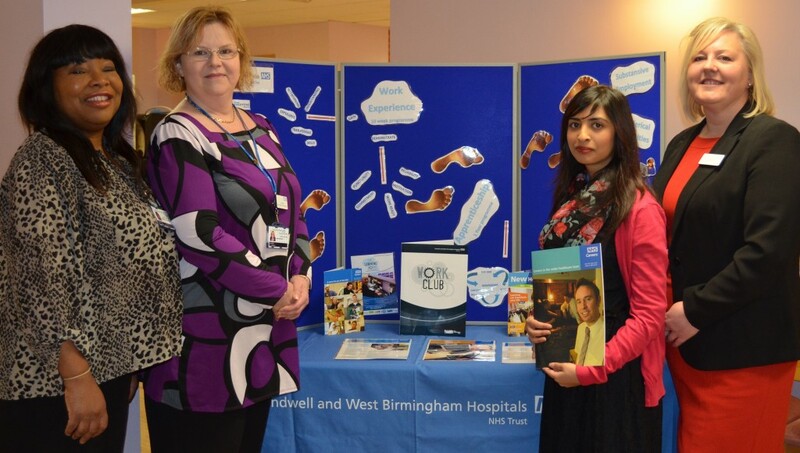 The Learning Works, run by Sandwell and West Birmingham Hospitals (SWBH) NHS Trust hosted an event in collaboration with Jobcentre Plus to engage with local people looking to access work experience opportunities within the Trust. Forty-three candidates attended the event which provided information and opportunities from different areas within the Trust. Twenty of these candidates will be selected to undertake a work experience placement across a variety of different departments at the Trust. Lawrence Kelly, Learning Works Co-ordinator, said: “The Trust’s work experience programme is an essential aspect of supporting people who are currently seeking employment and skill enhancement. It offers the unique opportunity to explore and develop new skills whilst building upon previous knowledge”. Following talks about the various career opportunities the Trust offers an exhibition took place to highlight possible placements available along with the providing potential candidates with the opportunity to meet SWBH managers to find out more about their roles. 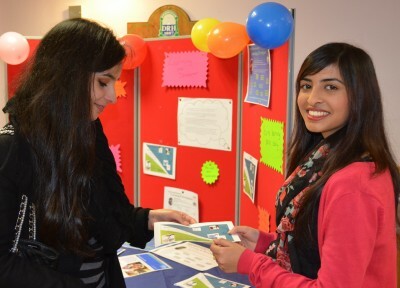 Bafina Akhter, Administrative Apprentice at SWBH NHS Trust undertook a work experience placement at the Trust prior to gaining an apprenticeship, she explained: “I did my work experience placement in the Medical Staffing Department. It has been a really great experience because I have learnt many new skills. “At first I was really shy but throughout the weeks I became a lot more confident in completing daily office tasks and was not scared to ask for help from other members of the team to help build my skills. “I really enjoyed my work experience placement and appreciate that it helped me gain the skills and confidence to go on to apply for my apprenticeship with Learning and Development”. The Trust runs three inductions each year, for around 20 candidates each time, offering work placement schemes for the long-term unemployed, giving them the opportunity to receive structured training and build their confidence. The placements provide an ideal opportunity for people who have been out of work to become familiar with the routines, cultures and disciplines of a team environment, and develop new and essential skills along the way. Karen Whitehouse, Work Experience Co-ordinator, explained: “The Trust is committed to developing a workforce that understands the culture and diversity of its patients. We are keen to recruit staff locally and support development through a range of different pathways, work experience, apprenticeships, traineeships and volunteers”. For more information, please contact The Learning Works, Unett Street, Smethwick, B66 3SY or call 0121 507 5886.